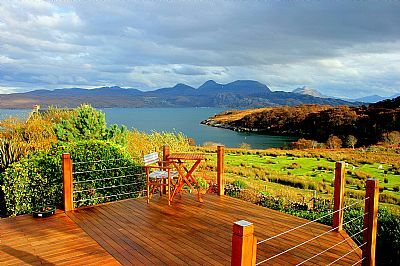 Welcome to Colonsay B & B, situated in the lovely remote village of Arrina (Arinacrinachd) on the Applecross peninsula, Wester Ross. 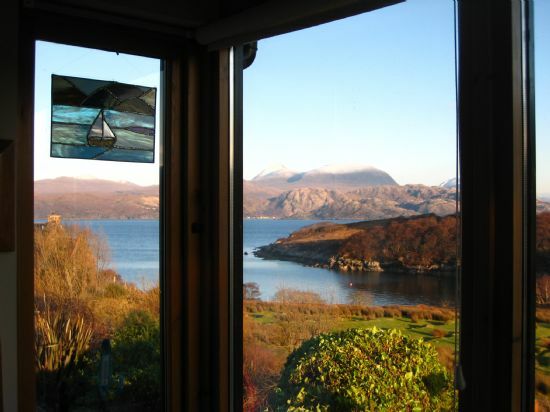 We offer good Scottish hospitality and superb sea views from both of our guest bedrooms, dining room, sun room and deck. There are 2 guest bedrooms; 1 twin room (with 2 zip and link beds) and 1 double room with a king sized bed. There's a shared guest shower room. Each room has a TV/DVD player, hot drink making facilities and complimentary toiletries. Guests can also use the dining room with a sitting area in the evenings or enjoy the spectacular views from the sun lounge or deck. The kitchen is available for use after 7pm, on request. WiFi is free. We offer use of a drying room and bicycle storage area. 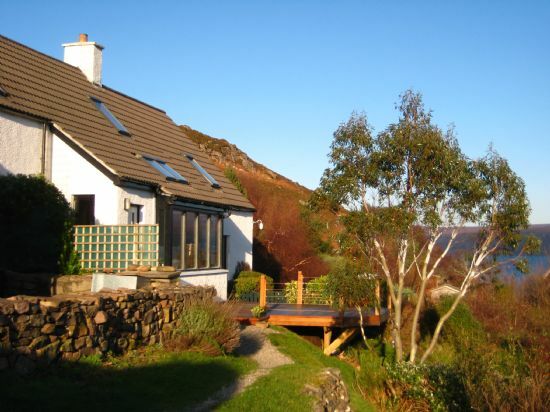 The remote Applecross peninsula with its dramatic scenery is an ideal place for many activities, such as walking, cycling, sea kayaking, climbing, boat trips, bird watching, photography, gardens and craft shops (see links page). 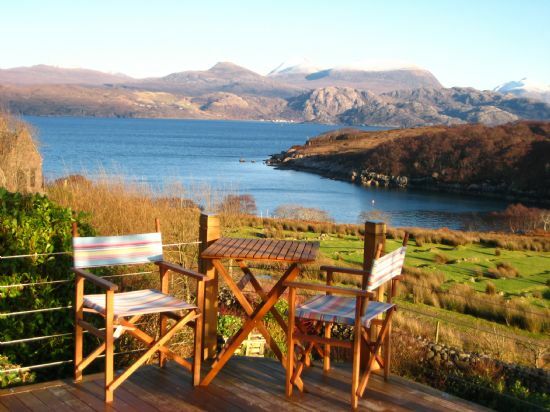 There are pubs in both Applecross and Shieldaig which serve excellent local food (both 25 mins drive away). 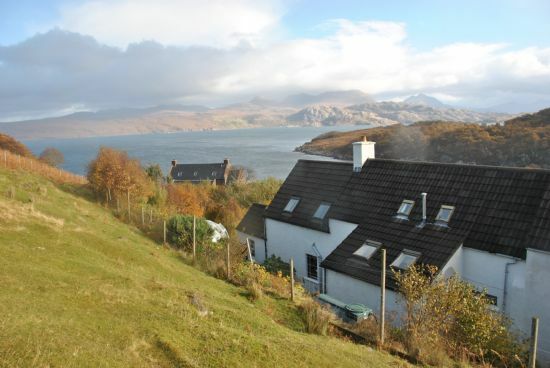 The nearest food shops are in Applecross and Shieldaig. Please note that the whole peninsula has single track roads. Due to open grazing land around the cottage, no dogs allowed. We are closed from October till March.